On a day when the leaders struggled with the afternoon’s swirling winds, the 23-year-old from Northamptonshire carded eight birdies and two bogies to sit two shots clear of her nearest challenger. 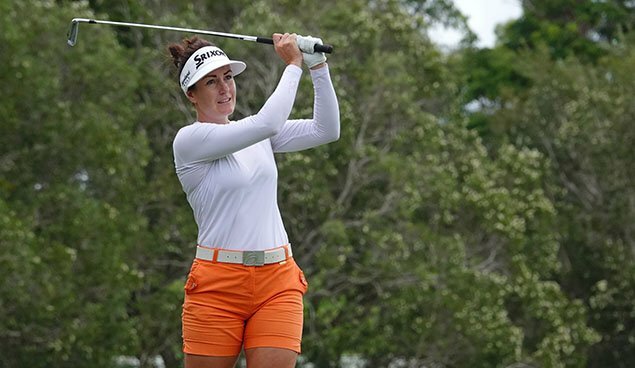 “It had a bit of everything in it,” MacLaren said after her round. “I’ve been playing well, (hitting) controlled iron shots all week. “I judged the wind pretty well today, and when you are in control of your ball flight it is easy to handle,” she smiled. MacLaren, who pulled her own bag in the first two rounds, had a little bit of help arriving from the United Kingdom overnight. 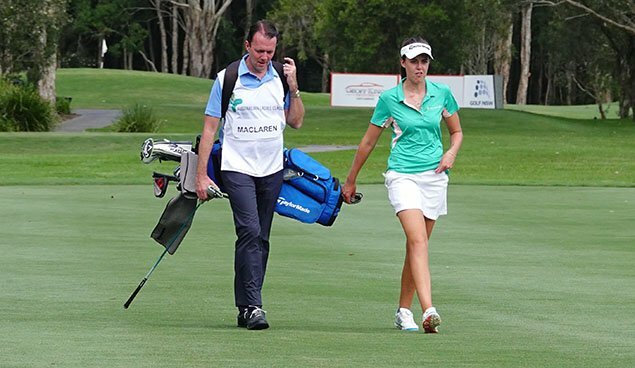 Her father, David, who she said might have been suffering from the effects of jet lag, caddied for her today. “I think he needs a lie down now, he only got in from England like yesterday morning,” she smiled. MacLaren said she was hoping to keep her form going into tomorrow. “This is the best I’ve felt with my game for quite a while. “I am putting nicely and I don’t want to get distracted by all the noise outside, just focus on my own game and do what I have to do,” she said. On a day when the wind made conditions noticeably harder than the first two rounds, several players tried to challenge, but most fell at one hurdle or another. Swede Camilla Lennarth was the first to jump out from the chasing pack, recording an eagle on the first hole and two more birdies on the outward nine. Sadly a double and three bogeys on her homeward nine saw her drop back and into a tie for sixth. 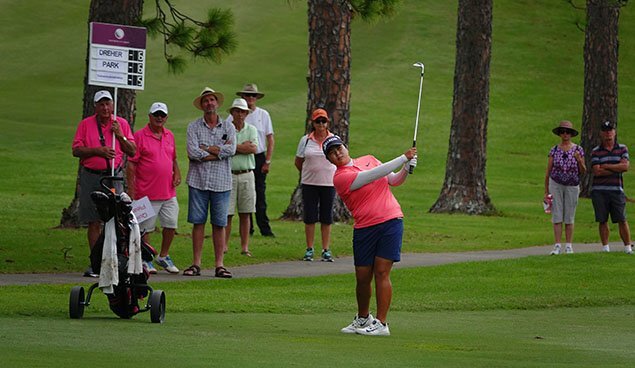 Norway’s Marita Engzeluis carded a tidy three under par 68 to sit alone in second place, while a trio of players including first-round leader Spaniard Silvia Banon, New South Wales Rebecca Artis and Thai Pannarat Thanapolboonyaras are a further three shot back at five-under. Artis, who is struggling with a cold, said it was a battle out there. “I felt a bit flat today, just tried to stay patient and get it around”. “You’ve got to hit fairways and give yourself chances,” I didn’t hit the ball quite as well today. I missed a couple of fairways. I laid up on the par five in the rough, you just can’t do that. “I gave myself a chance on 17. I didn’t capitalise, but then made a good par on 18 after leaving myself a tough two-putt. “It was a good two-putt in the end,” Artis said. Artis believes she is in with a chance tomorrow and realises she will need to get away to a good start. Second round leader Hannah Park, who admitted to some nerves on the first tee this morning, hung around at the top of the leaderboard most of the day. A disappointing triple bogey on the last soured an otherwise impressive effort from the 17-year-old. “I hit it O.B. and made a triple the last,” a disappointed Park said.